Roland Bouman's blog: What kind of life is that?! What kind of life is that?! 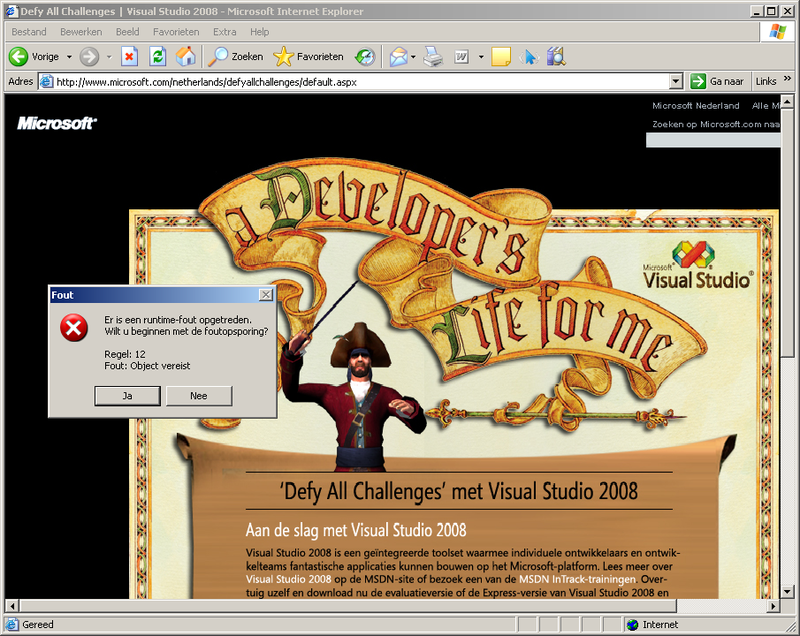 Over a year ago, I wrote about a little bit of irony offered by the runtime error messages emitted from the Windows Vista ultimate testdrive site (which I just checked again, this time with IE6 and happens to choke on another bug).